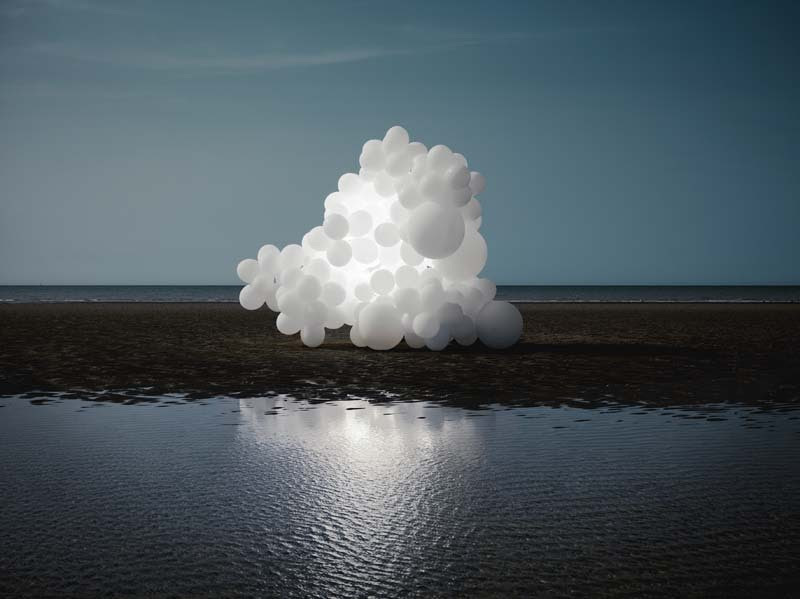 After making a huge buzz in London late 2015 with a floating installation of over 100,000 balloons in Covent Garden, the Charles Pétillon art now invades the Magda Danysz Gallery in Paris. 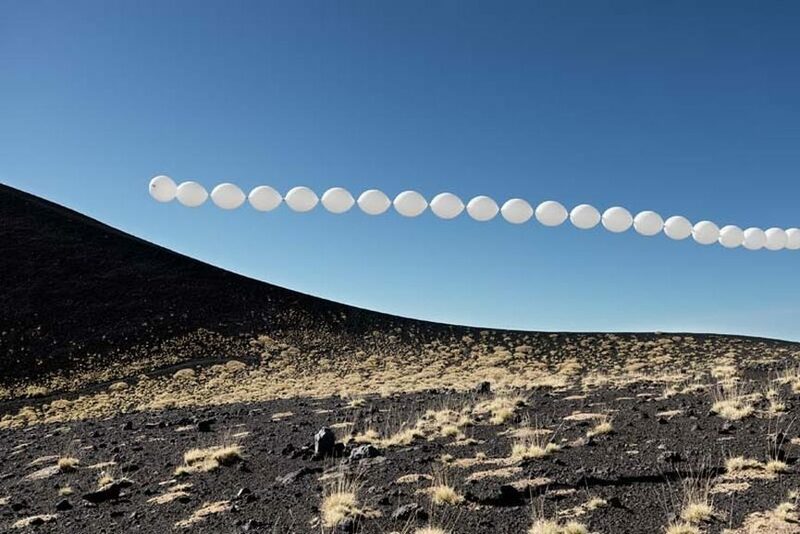 The installation artist and photographer is famous for his balloon invasions whose goal is to change the way in which we see the things we live alongside each day without really noticing them. For his first show in Paris, Pétillon will be presenting his poetic photographs around an immersive installation designed exclusively for the show. Resembling an artificial forest, this dense arrangement of balloons will allow the viewers to experience the space in an immersive way. 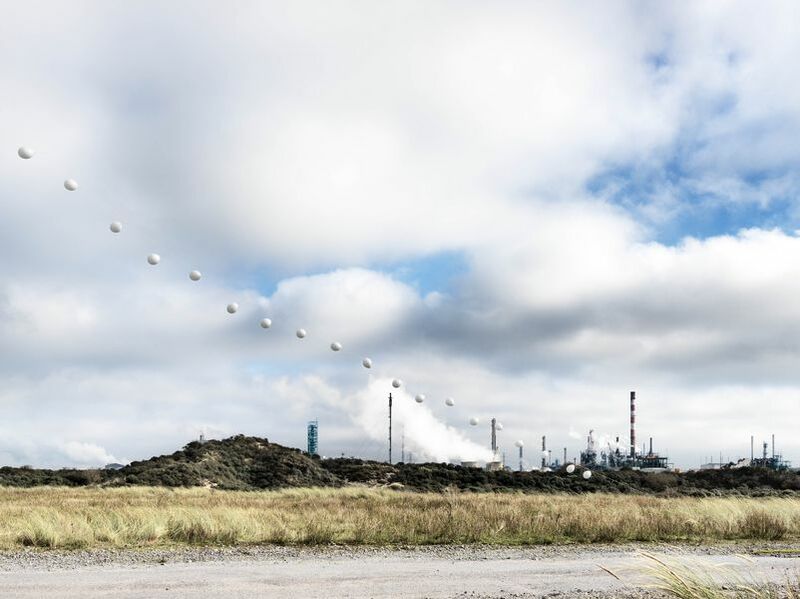 Charles Pétillon’s Invasions take over different places around the world ranging from Calais and Dover beaches to the streets of Shanghai or the black slopes of Mount Etna in Sicily. 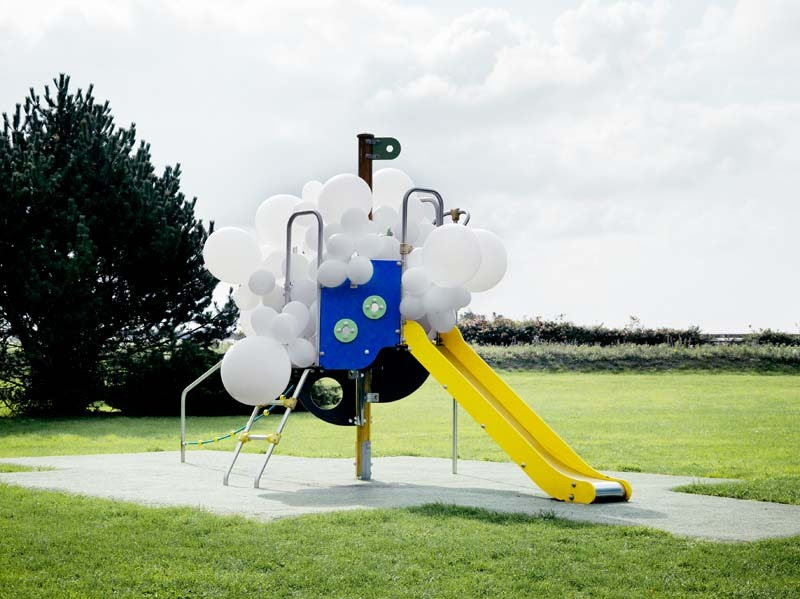 The series consist of the installation of hundreds, sometimes thousands, of white balloons, highlighting environment and creating the stark and un-missable contrast within landscapes. Places like abandoned houses playgrounds, basketball courts, and old cars have all been home to the artist’s intrusive displays. 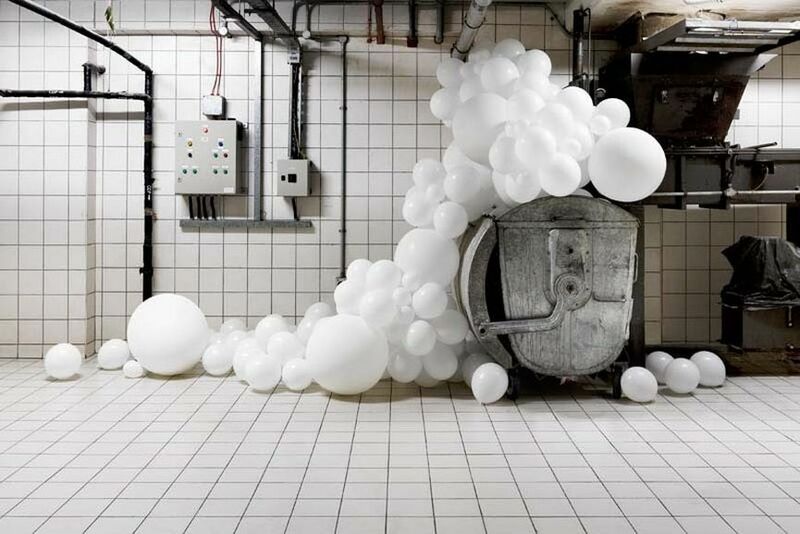 Balloons are first blown and assembled in their designated shape in a warehouse, then transported to the desired location and secured on aluminum. With these pieces, he addresses the disappearance of the part our world, evoking memories and questioning the human footprint over nature. Each Pétillon’s installation is triggered by the idea of the final photograph. Creating a unique relationship between the ephemeral aspect of installation art and contemporary photography, he creates the only testimony of something that exists for a very short period of time. He titles the photographs to give the audience a sense of the meaning behind the images, although he is not forcing a single interpretation on them. As Pétillon explains, the white color holds the idea of something pure or natural, presenting a blank canvas on which the audience is able to project their own feelings and ideas. 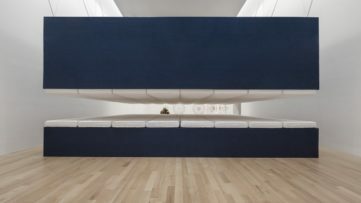 With installations created in order to provide a point of view, he often uses a front facing and central framing in order to ensure the audience is directly confronted with what he is trying to show. Galerie Magda Danysz represents some of the most interesting artists of today. Developing a strong relationship with them, it supports their works by presenting their exhibits and participates actively in their flagship projects. Besides Paris, the gallery also has its venues in London and Shanghai. The solo show by Charles Pétillon will be on view from December 3rd, 2016 to January 21st, 2017. The special preview with the artist by invitation will be held on Saturday, December the 3rd from 6 to 9pm. Featured images: Charles Petillon – Outrances, 2014; Charles Petillon – Ribambelle 5, 2015. 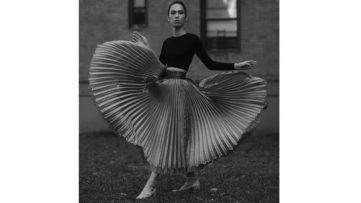 All images courtesy of Magda Danysz Paris.